Jack Randall was hired by Monogram in 1937 to compete with Republic's Gene Autry. This set features 5 of his exciting Western pictures. Jack Randall was hired by Monogram in 1937 to compete with Republic's Gene Autry. 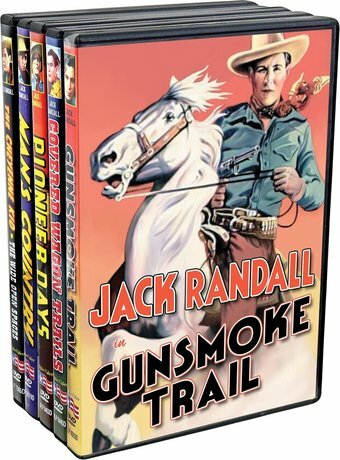 This set features 5 of his exciting Western pictures: 'Gunsmoke Trail' (1938), 'Man's Country' (1938), 'The Cheyenne Kid' (1940), 'Covered Wagon Trails' (1940), and 'Pioneer Days' (1940).